Have you ever wondered how some of your favorite pros tape their hockey sticks? We have! 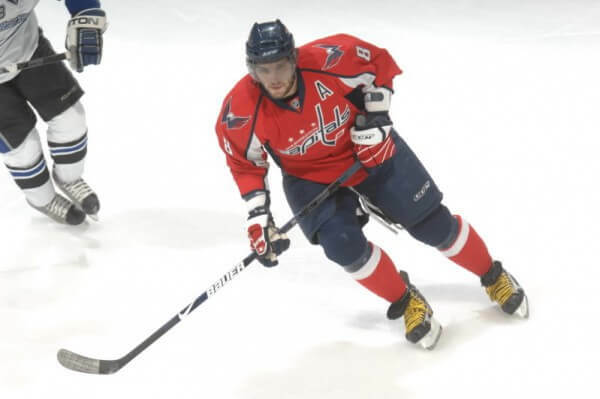 In the video below Quest Hockey coach and Hockey Players Club co-founder Brandon Rubeo demonstrates how he tapes the blade of his twig similar to Alex Ovechkin. Instead of using wide white cloth hockey tape like Ovie, Rubeo uses wide black cloth hockey tape because he prefers the look and feel. 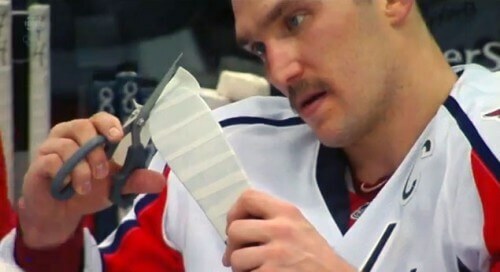 Going from heel-to-toe and covering the entire tip of the blade, Ovie trims the excess tape from the toe of his stick with scissors. It’s a cool trick to ensure a perfectly neat tape job. Finally, he rubs a puck onto the tape of his blade to make sure the tape is flush and to provide some grip from the rubber residue. Did we miss anything? What’s your favorite kind of tape job? Comment below.